I’ve just wrapped up the last Game of Thrones #WesterosWednesday post for awhile. I had expected to be done with all of my pre-season 6 posts three weeks ago, but because this season ended up being scheduled three weeks late (in my opinion), I had to write three extra posts. So I’m ready for a break. Each year, I don’t do any Game of Thrones blogging while the show is currently airing (my regular readers already know this, but I’ve had a fair amount of new followers in the past few weeks, and I want to get everyone up to speed) and in-between the seasons I write at least 24 posts about the show. I don’t really do recaps, it’s all pick-a-topic-and-defend-it or things like that. Last year and this year, in-between seasons 5 and 6, I wrote Forty-Four articles, not including the two that I wrote dissecting the first season 6 trailer, but that does include the recent article I had accepted on the Film School Rejects site. I’m going to relax for the next 10-11 weeks and watch the show, read people’s recaps and opinion pieces, and listen to podcasts. Probably a lot of podcasts about the show. 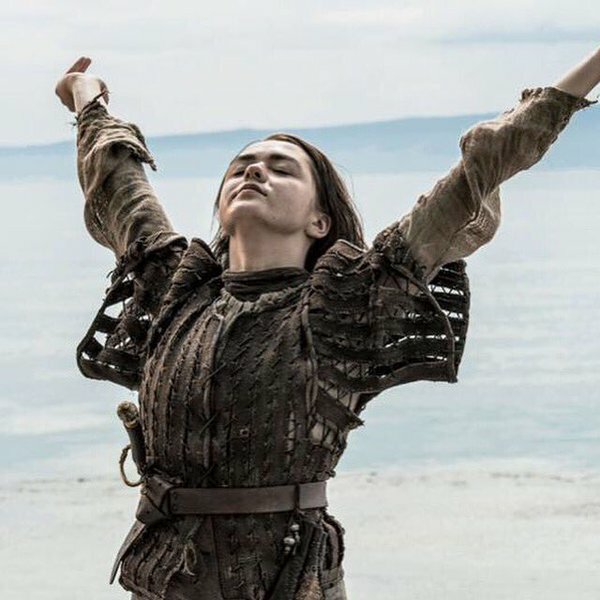 Once the show has its season finale, I’ll start up blogging about Game of Thrones again. I have about a dozen topics to get started on once episode 6.10 has its no-doubt-dramatic closure, which of course isn’t enough to get me all the way through to the beginning of season 7. I assume that I’ll be inspired by events on the show, since there will be so much new material, even for a book reader like me. But should anyone really want me to address a particular topic that they have in mind, I’d love to field suggestions. My post defending Joffrey from years ago? That was a specific request. My post defending the Sand Snakes? 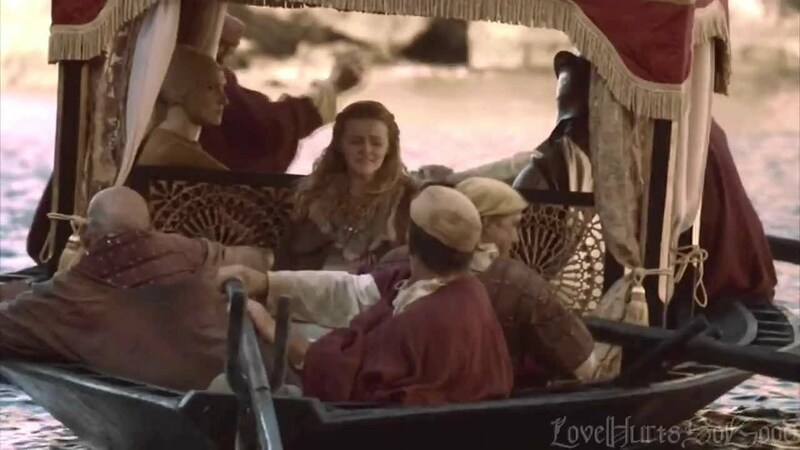 I was already planning on doing one, but one of my blogging friends (hi Haley) asked me to write something positive about Dorne, because she was so depressed about how the show presented the southernmost kingdom and plotline. Anyway, I wanted to write something to close off this end of my collection of Game of Thrones articles and thank all my readers. As always, I’m humbled that anyone would be interested in reading what I have to say, and I’m grateful for the opportunity to talk to you all about a show I really enjoy, and a book series that I really love. If this blogger doesn’t shut up soon, I’ll have him drowned to save me from all this sincerity. Love reading your site, very informative as well as offering alternative views. Thanks! I’m honored to have you as a reader. I’m glad that I can come up with (I hope) original angles about the show to discuss. Thank you for following me this year, and I look forward to reading your site’s articles on the show, as well as your cast interviews. Oh, I hope you get a chance to see them soon. I know not everyone can get access to them at the same time. Since you follow me on Twitter (thank you!) I promise I’ll not tweet spoilery stuff. Thank you Patrick for letting me know about the twitter and for the shout out too 🙂 It is censored version here so I may have an option to watch them if I want to, but since I will be away on vacation without TV access, might have to wait for sometime before I start. It’s so frustrating. I was so waiting for this. Thanks! I’m glad you came across my blog when I was endlessly talking about The Force Awakens. I need to do some GoT haiku, your blog has inspired me. My expectations of GoT are higher… Can’t wait! ALL WEEKEND I was ready for the episode, and when it came – well actually it took a little while because I was watching it at my friend’s house, and they signed up for HBO NOw through their Chromecast but 9 O’clock rolled around we got this weird ‘You are being blacked out’ message and there was nearly a riot in East Orlando. But it got working at 9:20, so that was all right. And WHAT an episode! I’m writing up some little mini-reviews of each episode this season. Nothing on your amazing, in-depth write-ups, but I hope you enjoy them! Yay! Mini-reviews are the best. Just to say hi and that I am a very happy puppy!!! Loved the premiere!! I won’t be posting, but I’ve emailing my reactions to various podcasts I listen to. I’ll tweet about the show in a few more days when I suspect more of my Twitter friends have seen the show. I hope all has been well. * Tyrion made a decision to send Myrcella away to Dorn with Ser Arys Oakheart to protect her and betroth her to Prince Tristane. This drove Cersei nuts; she was deeply concerned about Myrcella’s safety. Somewhere between that introduction and Season 5 he *mysteriously* disappeared or was omitted to allow for the plotline for Jamie and Bronn to secretly go down to Dorn to bring her back. This is supposed to be one of the best swordsman in Westeros promoted to protect the Royal family until death. Did he go out for coffee? Was he called back to King’s landing because Cersei suddenly decided to trust the Martell’s with the care of her daughter? Did he vaporize and everyone was given group amnesia by the flashy thing in Men in Black? * Myrcella dies meters from the dock with all the Sand Snakes watching from standing on the dock, yet Ser Jaime decides to sail onward to King’s Landing without going back to confront Ellaria. Jaime is smart enough to know Ellaria was behind this. He knows Ellaria doesn’t get along with Doran (scene where they are eating in Season five) and why would Doran kill Myrcella at the risk of harm to Tristane? So why isn’t he turning the boat around to confront Ellaria? * Tristan is killed by two Sand Snakes on Jaime’s boat in King’s Landing while he is ashore with Myrcella’s body and Cersei. This is bizarre because these very same Sand Snakes are all on the dock saying goodbye to the boat that was sailing away with Myrcella, Tristan, Ser Jaime and Bronn at the end of Season Five. Did they get a soundless, invisible speedboat that allows them to board the boat and surprise Tristane without anyone else on the boat detecting them? It doesn’t make sense unless they set sail once the boat was out of visual range; caught up to the boat and watched while in the harbor for Jaime to leave with Myrcella’s body in the guilded smaller row boat and then boarded the sailship when no one was watching. 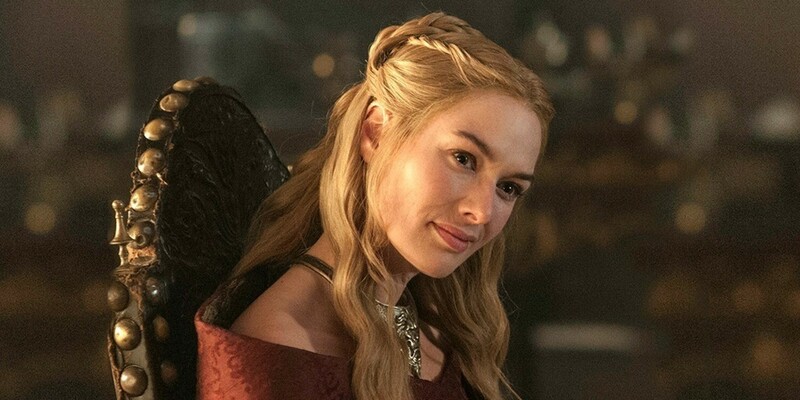 I know you usually go dark during Thrones, however I hope you continue to post during the season. * Tristan is killed by two Sand Snakes on Jaime’s boat in King’s Landing while he is ashore with Myrcella’s body and Cersei. This is bizarre because these very same Sand Snakes are all on the dock saying goodbye to the boat that was sailing away with Myrcella, Tristan, Ser Jaime and Bronn at the end of Season Five. Did they get a soundless, invisible speedboat that allowed them to board the boat near Dorne and then they hid and surprised Tristane without anyone else on the boat detecting them? Doesn’t make sense unless they set sail in their own vessel once Jaime was out of visual range and Doran went back to the Palace; caught up to the boat in King’s Landing in the harbor and watched while Jaime left it with Myrcella’s body in the rowboat and then boarded the sailboat when no one was watching to kill Tristane. I know you usually go dark during Thrones, however I hope you comment this year as things go by. I look forward to reading your posts. Whoa! This is a giant and wonderful comment! I promise to come back soon and leave a commensurate response! I have to agree with you about the Disaster That Is Dorne. They don’t seem to be able to fix it for reasons unknown. For me this is the only blemish on what is otherwise an impeccable record. I would particularly appreciate if they found new Sand Snake actresses, or at the very least, gave them non-speaking roles. I had to explain away in my head that appearance on the ship in this way: Everything was pre-planned. As soon as they left the docks in Dorne, Nymeria and Obara sped away on magnificent Andalucian stallions, arriving at King’s Landing ahead of time. They dove into the sea, climbed stealthily onto the ship James Bond style, waited till Jaimie was gone (this would give them time to dry off) – and Voilà! I think your suggestions are beyond reproach! Particularly the sand snakes hanging out and drying off. I suggest that they rode magical sea serpents like surfboards, who kept them dry, and lifted them above the ship. Help from the Drowned God perchance? Liked the idea of surfboard Krakens! All of the continuity issues you bring up are solid. (Well, everything you brought up was solid.) Book readers are going to be more likely to notice that Arys Oakheart (thanks for the pic that clearly shows a Kingsguard accompanying the young Myrcella) just vanished. But stuff like that is really only going to bug book readers, who are familiar with this stuff. But even show watchers can agree that so much of Dorne on the show suffers from odd writing, and as you said, shock events. I wrote a post defending season 5 Dorne, sort of but I don’t know if I’ll be able to write a defense of season 6 yet. But I don’t know. I know I can write something to talk about Dorne that won’t simply be “wow. Awful.” I just need to work out an angle. But I think we all agree that this isn’t the Dorne we wanted, or is all that interesting. Thank you for leaving the comment, I enjoyed hearing your take on the Sand Snakes issues from S5 and that re-emerged in the premiere episode of this season. With every episode that features Dorne, I’ll be hoping that they don’t do anything even more heartbreaking to the Dorne I carry inside. There’s always a chance that I’ll be motivated to post something on the blog during the season, but I’m more likely to comment on other people’s blogs during this time.